Behind The Thrills | Disney California Adventure’s Carthay Circle Restaurant Revealed! 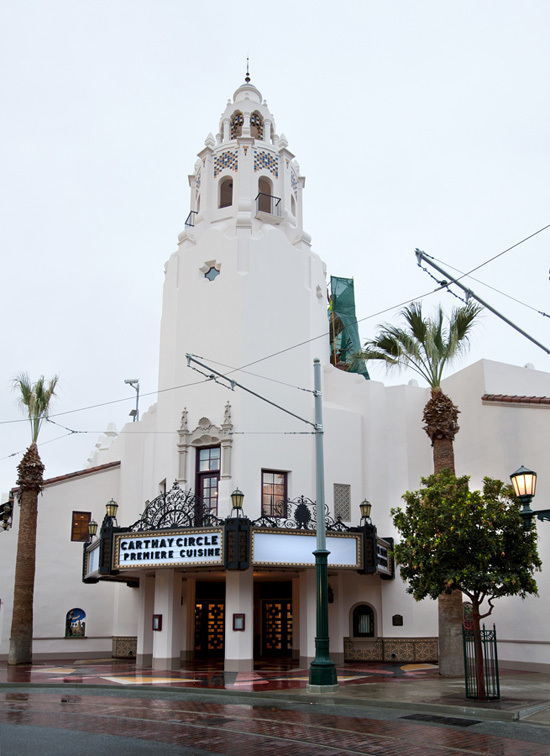 Disney California Adventure’s Carthay Circle Restaurant Revealed! Disney California Adventure’s Carthay Circle Restaurant Revealed! Today the walls finally came down from the new 89-foot tall icon of Disney California Adventure. Moments after the park’s opening The Disney Parks Blog released the first publicity photo, and had this to say. This morning, Disney California Adventure park guests were greeted with a long-awaited sight: the walls that have surrounded Carthay Circle Theatre as it has risen from the south end of Buena Vista Street have finally come down! Paul Hiffmeyer was there, and has brought us the image above, showing the new park icon as guests saw it this morning. Beautiful, right? Keep checking the Disney Parks Blog to see what else will be revealed at Disney California Adventure park as we get closer to the June 15 Grand Reopening! Check back to Behind The Thrills for the latest about Disney California Adventures highly anticipated relaunch, or visit Disney’s official blog The Disney Parks Blog.